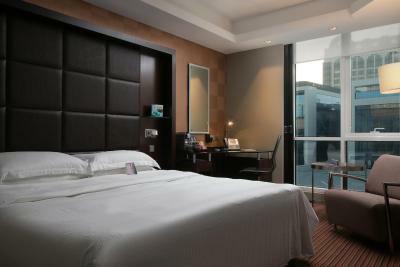 Lock in a great price for Radisson Blu Hotel, Dubai Media City – rated 8 by recent guests! Breakfast was good, and location was perfect for the event we went to. Gym was really nice, bed was comfy, breakfast was good. 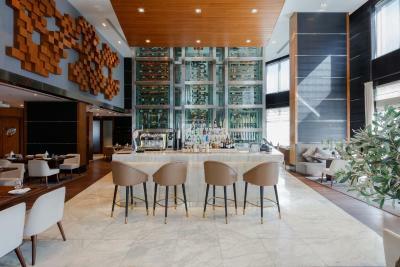 Happy hour at club level was a great treat and location was good. The facilities and closeness to where we needed to be. Location was perfect for accessing the Media City Amphitheater. 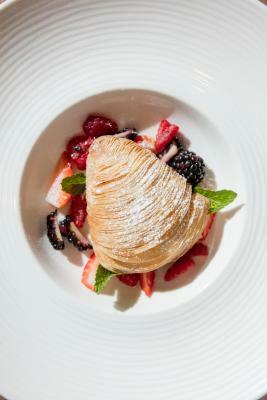 Staff were extra nice, knowledgeable and accommodating. Chrisella, in the business lounge was especially nice. Please pass on our thanks to her! Staff was very nice and accommodating. Made sure I as a guest was as comfortable as possible. 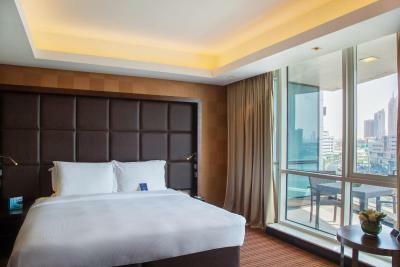 Radisson Blu Hotel, Dubai Media City This rating is a reflection of how the property compares to the industry standard when it comes to price, facilities and services available. It's based on a self-evaluation by the property. Use this rating to help choose your stay! 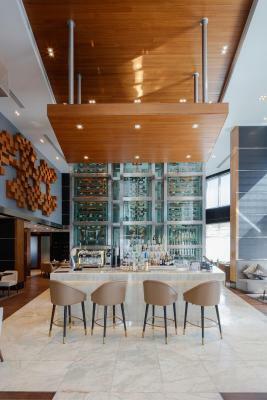 One of our top picks in Dubai.Located in the heart of Dubai's Media City, the sophisticated Radisson Blu Hotel features luxury amenities including a well-equipped spa and outdoor pool. 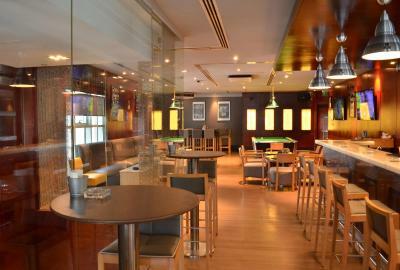 It is a 10-minute walk from Emirates Golf Club. 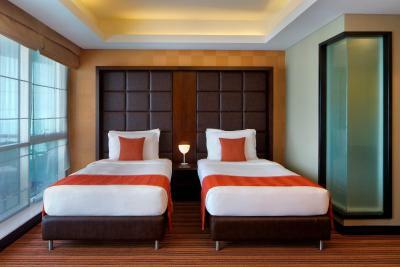 The bright, spacious rooms offer flat-screen TVs and contemporary furnishings. 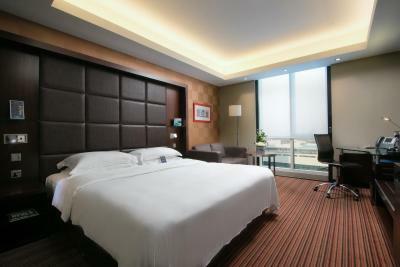 Free Wi-Fi access and a tea/coffee maker is available in all rooms at Radisson Blu Hotel, Dubai Media City. 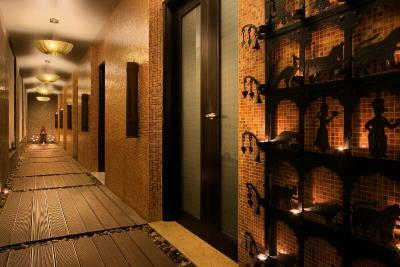 The hotel’s gym is fitted with state-of-the-art fitness equipment. 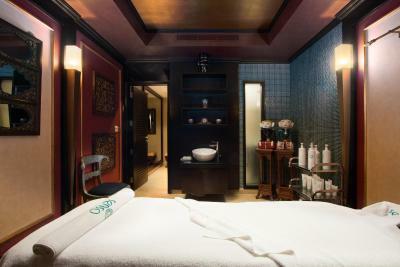 The Senso Wellness Center has 5 Asian-themed treatment rooms offering a wide range of body massages and therapies. 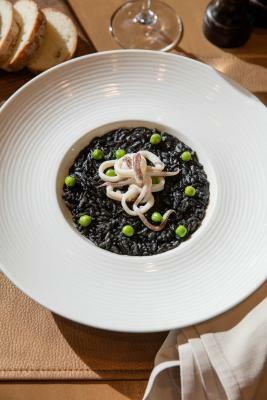 Guest can choose from 6 different food and beverage outlets at the Radisson Blu Hotel. 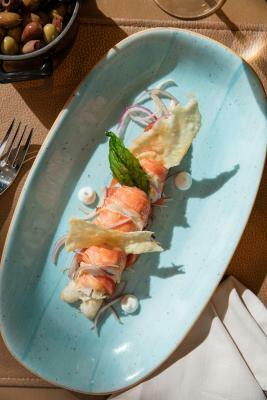 Italian specialties are served at Certo, while international delicacies are prepared in the open plan kitchens at the Chef’s House. 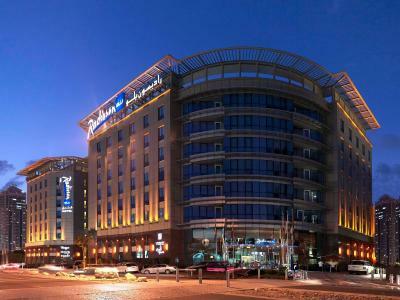 Radisson Blu Hotel, Dubai Media City provides a shuttle service that operates between the hotel and the Mall of the Emirates, and the Ibn Battuta Shopping Mall. 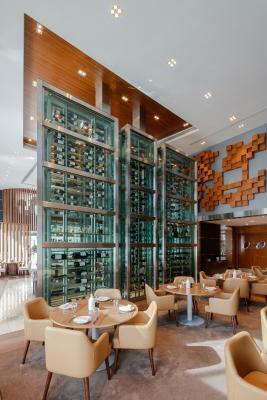 The Nakheel Metro Station is within walking distance of the Radisson Blu Hotel, Dubai Media City. 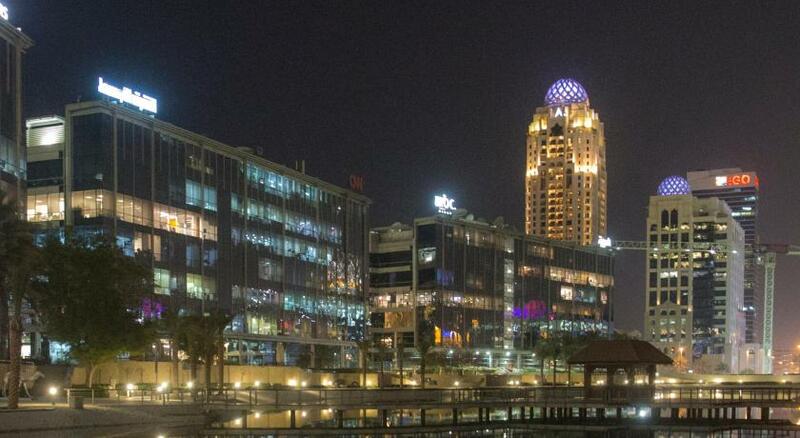 Dubai Media City is a great choice for travelers interested in food, luxury brand shopping and relaxation. 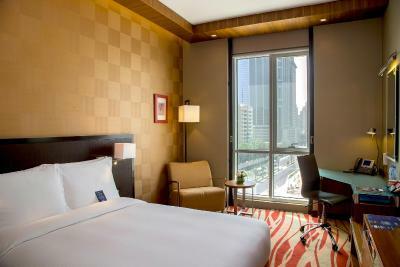 When would you like to stay at Radisson Blu Hotel, Dubai Media City? 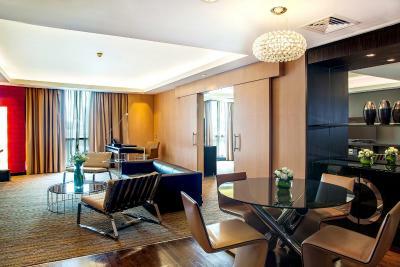 This air-conditioned room has a desk, ironing facilities, free Wi-Fi and a satellite TV. The bathroom has a shower, hairdryer and free toiletries. 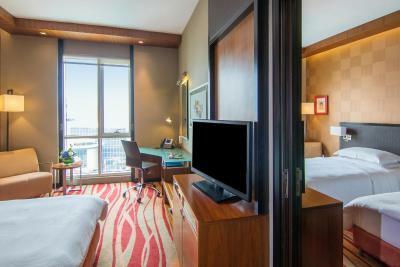 This spacious room includes late check-out, breakfast and access to the Business Class Lounge and terrace with free drinks between 17.00 and 19:00 hours. Spacious suite featuring separate seating area, free DVD rentals and including late check-out, breakfast and access to the Business Class Lounge and terrace with free drinks between 17.00 and 19:00 hours. 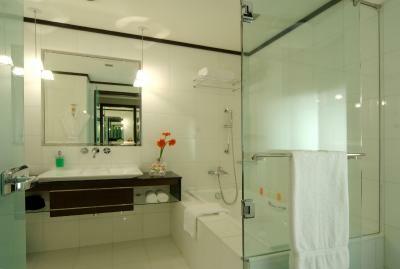 This room can accommodate up to 4 adults and consists of 2 standard interconnecting rooms. This double room has air conditioning, cable TV and mini-bar. 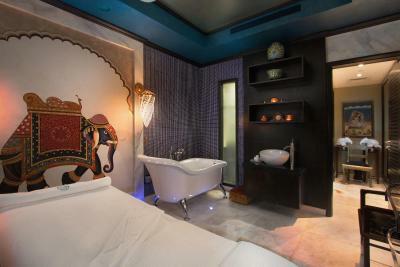 - Free entrance to the nightclub "Base Dubai"
This double room features a tumble dryer, electric kettle and spa bath. This double room has a balcony, hot tub and electric kettle. 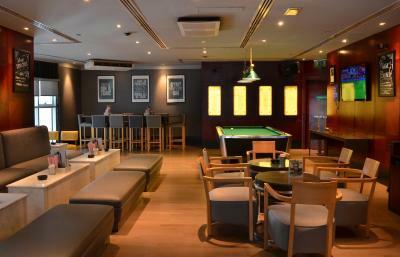 This room type also provides an access to Executive lounge with free drinks between 17:00 to 19:00. 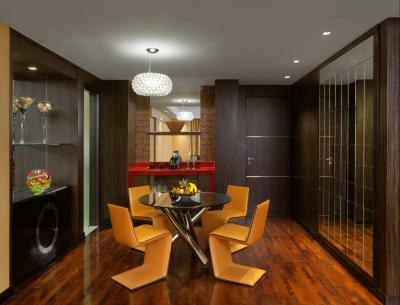 This family room features a hot tub, mini-bar and air conditioning. We have a deep passion for outstanding guest service and in our world, great customer service begins with a smile. Our aim is to be the friendliest hotel in Dubai. 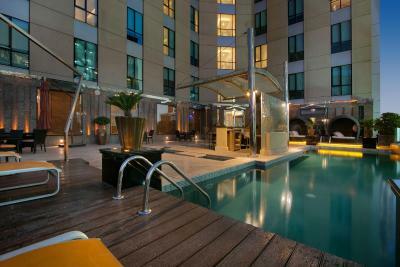 House Rules Radisson Blu Hotel, Dubai Media City takes special requests – add in the next step! 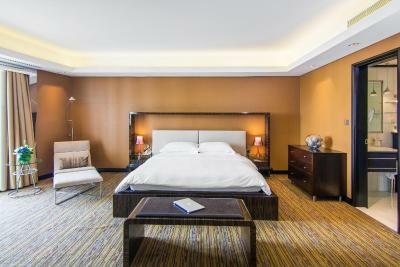 One older child or adult is charged AED 100 per person per night in an extra bed. 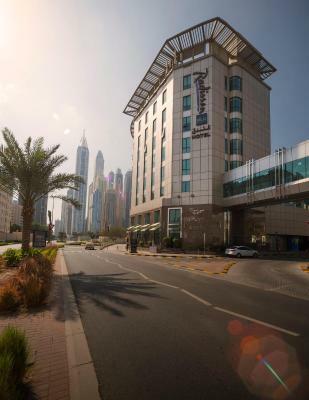 Radisson Blu Hotel, Dubai Media City accepts these cards and reserves the right to temporarily hold an amount prior to arrival. 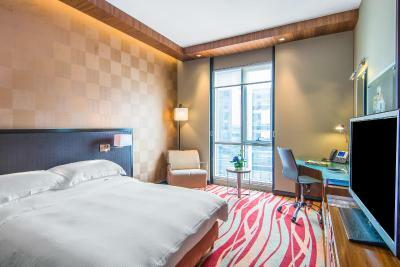 Please note that there is an additional 15 AED tourism fee per room per unit per night payable at the hotel directly. Carpets in the rooms have had better days. They smell indeed could ignite ones dust allergies. Been staying at the hotel since 2014. Worst I’ve seen the carpets. The hotel even agreed us to view another room unfortunately carpets looked as worn as ever! Bed was good. Breakfast was alright. The hospitality and staff's service was the best I have ever seen. 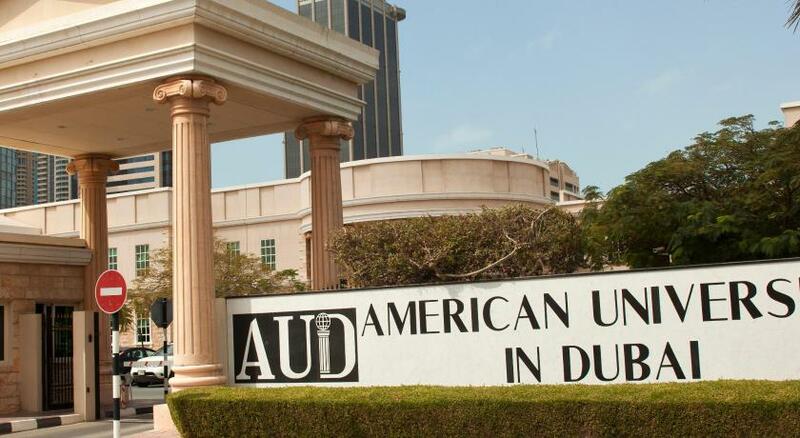 It’s near to Abu Dhabi and inside media city beside AUD . The bathroom in the second wing of the hotel looks old. Our team rented two rooms. Smoking permitted in sports bar which is not great if you're a non-smoker. 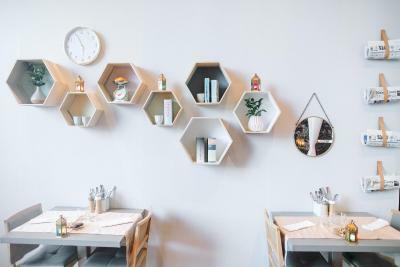 Located in the heart of Media City this hotel is a short walk from the tram station which has good connections to Dubai Marina and downtown Dubai. The staff are very friendly and helpful. There are two outdoor swimming pools. Good sports bar with live sports shown on multiple screens. The idea of paying upfront for accommodation in Dhirams only. 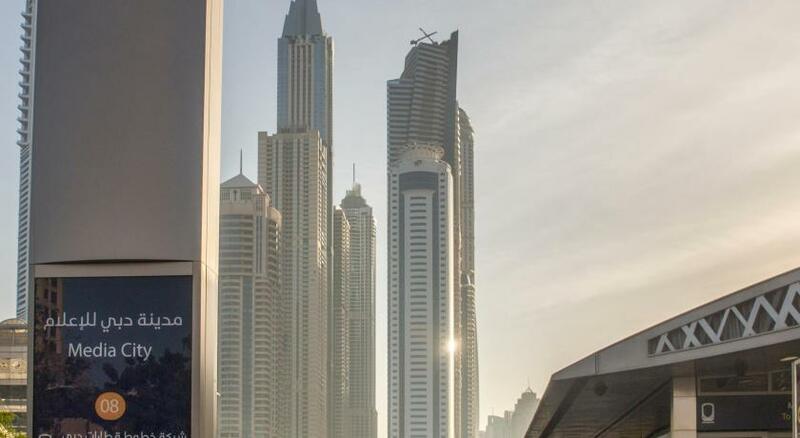 The location is most ideal for business in either the Dubai Media City or Dubai Internet City. Its actually about 4 minutes walk to the Internet City.